Don't get me wrong, though. The MK808B Plus is not really an Android TV stick. 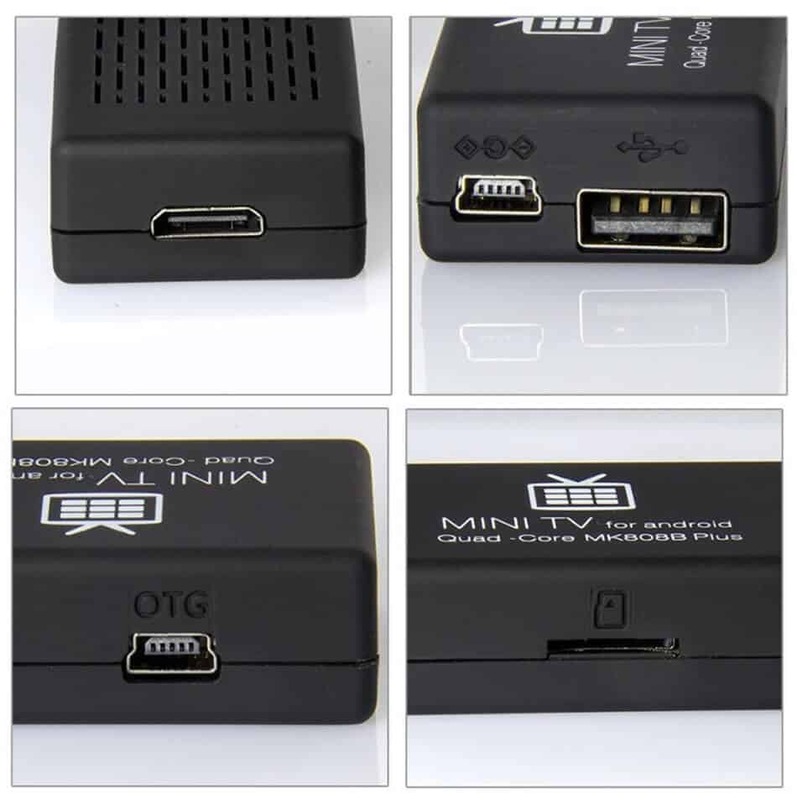 As such, it is not limited to only one port so, despite its small size, you still can connect peripherals to it. 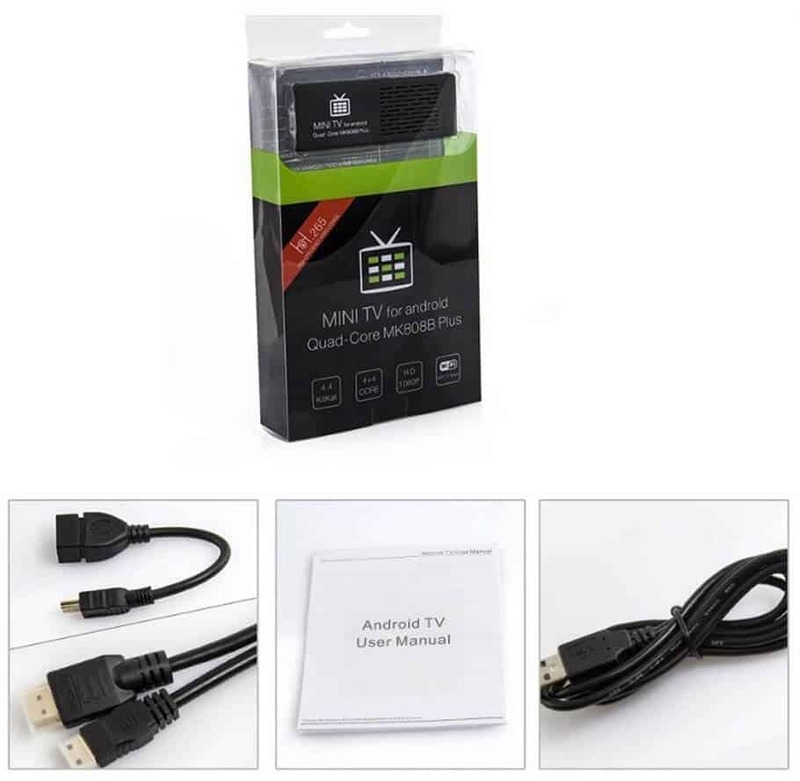 This is particularly important if you are interested in performing searches within your HTPC apps, since you can hook a wireless HTPC keyboard to this Android video player, thus enhancing its features. But, how great is its performance? Is it worth buying, despite of its very small size? Well, that's what we will try to uncover in this MK808B Plus review. With the necessary cables and a manual, the MK808B Plus comes equipped with all you need to setup your own HTPC, well, minus the keyboard. MK808B Plus review: do you recommend this device? The presence of miniUSB and mini HDMI ports takes away some compatibility and convenience on the otherwise stellar MK808B Plus Android player. 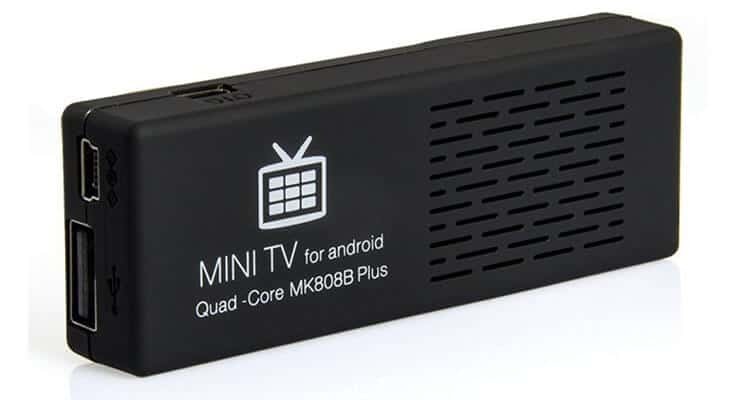 In this MK808B Plus review, we have seen that this device is a bargain -there is no other way to accurately describe it-; for less than 40 bucks, you can have a fully functional HTPC in your living room, and in a fraction of the space as well. There are cons to this device as well, of course, such as its poor choice of ports -microUSB would have been way better, although it still boasts a standard USB port, which I feel is not enough-, or the fact that it never turns off, but instead goes into a screensaver mode when not in use -which consumes power-. 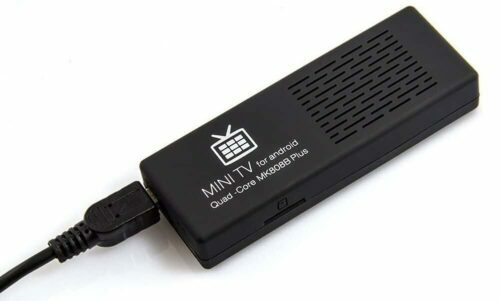 However, given its small size and price tag, these are flaws that could surely be overlooked if you are searching for an affordable and satisfying entry-level HTPC experience.